The computer mouse has been a basic part of computing for about 20 years now (25 if you were a Mac early-adopter, and even longer if you are a Xerox Alto power-user). Up until recently, innovations with mouses have been about adding more buttons, and scroll wheels. Now, with Smart-Phones becoming more and more popular, things like multi-touch and gestures are being added too. So, Jen and I were in an Apple store a few weeks back browsing (well, playing with) the new laptops. The touch-pads on these things are very sensitive, and accidentally letting a second finger graze the pad while trying to move the pointer does unexpected things. Two fingers, and the app switches, three fingers, and you are thrown to another desktop. I was thinking to myself that it would take a few hours with it to really get used to it. Jen says that the care required to work it was more than she is willing to put in (paraphrased). 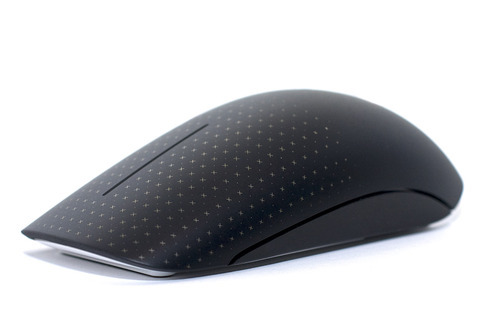 Over at Amazon, they are now advertising this thing called the Microsoft Touch Mouse. It, of course, is the Microsoft answer to the Apple Magic Mouse, except the Microsoft listing has a video of how to operate it. Similar thing. I'm thinking to myself, Oh, this could take a few days of use to get used to, and maybe, maybe it will make computing faster if I learn this, but is it worth the effort? Jen, she has a similar reaction as she did to the Mac touch-pads. Doing cursory research for this blog, I found a demo video for the Apple Magic Mouse as well. The Apple demo (not surprisingly) is of much higher production value than the Amazon/Microsoft demo, but it also advertises a feature that made Jen and me feel better about it... They show you where to turn the multi-touch features off. This makes sense, being that the Magic Mouse is the default mouse that comes with new Apple products. But it makes me really question a basic fundamental. Do they make these improvements because consumers want these features? Or, do they make these improvements because without improvement people will just stick to their old mouse -- As these days, with so few moving parts, they seem to last forever anyway. Ha! A great second question. The answer is yes, of course. They add new features to compel consumers to upgrade/switch. However, this is also a reaction to what Apple perceives consumers want, given how touch-screen smartphones have taken off, followed by iPad. My understanding is that the gestures on the Mac laptop are based on iOS; the look of Lion is also a reflection of how popular iOS has become. So that's a "Yes" to both questions. Like you, I've been wary of this development. I have yet to pay the $30 to upgrade from Snow Leopard to Lion. I'll wait until all the kinks have been worked out, but I know, eventually, I will upgrade and begin learning the new multi-touch features. It is what it is. Microsoft, wanting to keep up with Apple, has developed their upcoming Windows 8 interface to look like their Windows Phone 7 Metro UI: interactive tiles, easy to use on a touch device, compatible with keyboard and mouse. So, when you really get down to it, I think consumers adopting touchscreen devices has given Apple and Microsoft the green light to produce touch-based mouse peripherals. It gives these companies something new to offer consumers, while meeting a perceived demand for more touch interactivity. Apple has proven that there is a market for devices that appeal to non-tech people. Heck, my mom manages to use her iPhone, and she's never been able to figure out the keyboard and mouse interface. The touch interface has been the key that has unlocked computing power for a lot of people. This expands the market of users for Apple, so touch is here to stay. @Tony, One of the major issues with people having trouble with a touch device as opposed to a touch screen is the spacial disconnect between the two. Moving the relatively intuitive multi-touch features from a screen to somewhere else (someplace where fingers typically idle and rest anyway) actually makes the disconnect worse, not better... at least in my observations.